Have you always wanted a straight smile? It is never too late to get a straight smile with Invisalign. Invisalign provides an alternative solution to traditional metal braces. Using custom-made, clear plastic aligner trays, the teeth are gradually moved into their correct position. In about a year, you will enjoy the benefits of a straight smile without the headache and hassle of traditional metal braces. As your dentist in Horsham for orthodontic care, Dr. Gary Henkel will help you decide if Invisalign is right for you. Invisalign has quickly become the preferred orthodontic treatment because it does not involve the use of any metal wires or brackets. As a result, you will get a nearly invisible treatment time that is more convenient and less restrictive. In addition, the lack of wires and brackets provides added comfort and a more enjoyable treatment when compared to metal braces. Traditional braces involve the use of wires and brackets to pull the teeth into their correct positions. Because wires and brackets are used, there are dietary restrictions and oral hygiene is more challenging. In addition, you will have to visit your dentist often for adjustments. However, traditional braces are effective for treating all cases of misalignment and bite problems. While traditional braces are effective, most have come to prefer Invisalign in Horsham because it is a nearly invisible treatment without the discomfort of metal braces. The aligner trays are custom-made to gradually move the teeth. Since the trays are removable, there are no dietary restrictions and oral hygiene is easier. Not to mention, you are able to progress through your treatment at home without having to come into our office for adjustments. We will only need to see you every 4 to 8 weeks to monitor the treatment. To benefit from this treatment, Dr. Henkel will first determine if you are a candidate for Invisalign. If so, he will use 3D scans and images to create a treatment plan. Treatment will involve the creation of a series of custom-made aligner trays. You will wear each tray in the series for about 2 weeks. It generally takes 12 months to finish the treatment. However, treatment length varies depending on your individual needs. 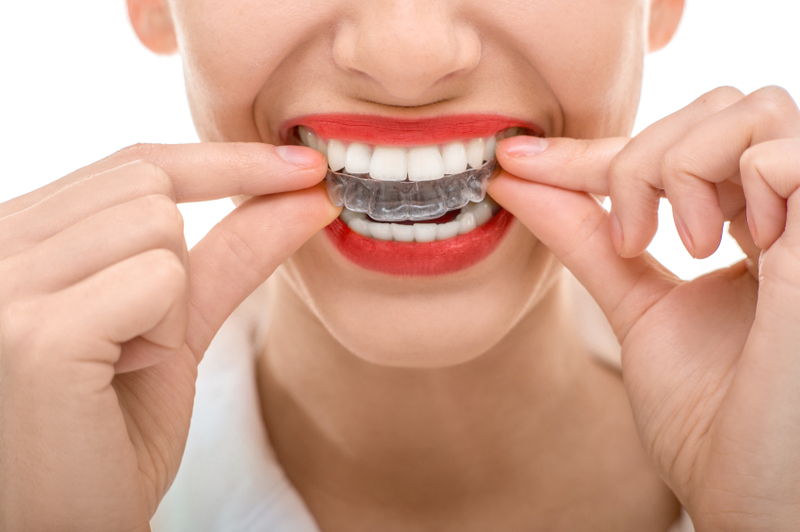 After your treatment is complete, you will require the use of a retainer to prevent the teeth from moving back into their previous positions. How Can I Get Invisalign? Invisalign can cost more than traditional braces, but the discreet, comfortable and shortened treatment is well worth the potential extra cost. Not to mention, your insurance may cover a portion and there are payment options. If you are interested in finding out if Invisalign is right for you, it is time to contact Horsham Dental Elements. Dr. Henkel will provide the thorough consultation you need to determine if Invisalign is right for you. If you are a candidate for the treatment, he will create a customized treatment plan to give you the straight smile you have always wanted. Contact Horsham Dental Elements to see if Invisalign is right for you.